A gaggle of autograph hounds staked out A.O.C. in West Hollywood on the afternoon before the Golden Globes, as W editor-at-large Lynn Hirschberg hosted her annual "It Girls" luncheon. At table 10, behold Mena Suvari and Alicia Silverstone. 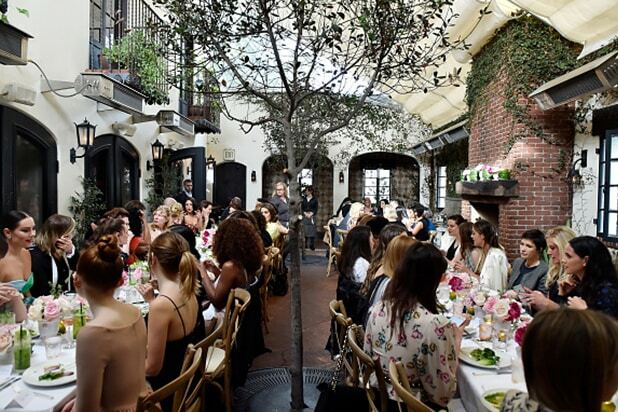 About 40 women from across film, TV, fashion, music and entrepreneurship mingled at the laid back "sit-down," a partnership with Dior. Attendees included, from left, Chloe Bennet ("Agents of S.H.I.E.L.D. 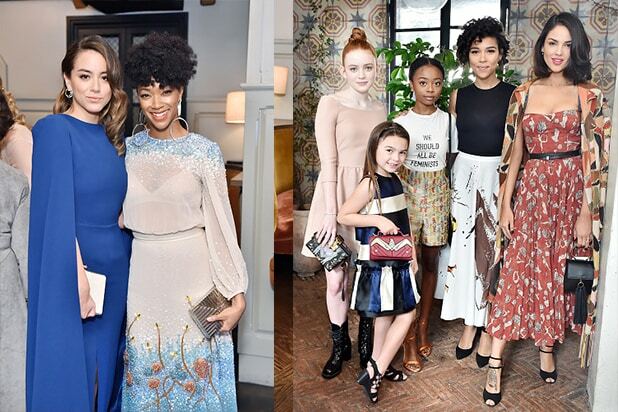 "), Sonequa Martin-Green ("Star Trek: Discovery"), Sadie Sink ("Stranger Things"), Disney Channel star Skai Jackson, Alexandra Shipp ("X-Men: Dark Phoenix"), Eiza Gonzalez ("Baby Driver") and Brooklynn Prince ("The Florida Project"). "Interview magazine used to have this thing called the 'It Girl,' and I wanted to be an 'It Girl' in the worst way," Hirshberg said in her welcoming remarks. "All of you are the 'It Girls' of tomorrow, today and forever." Exhibit A: "13 Reasons Why" star Katherine Langford (with Hirschberg at the head table.) "Stay engaged, stay aware, stay interested, and stay passionate," the host asked of her guests. Tracee Ellis Ross, W Magazine editor-in-chief Stefano Tonchi and Dior's Mathilde Favier strike a pose at the bar. On the left, digital empress Bethany Mota. On the right, one-third of last year's Ms. Golden Globe, Sistine Stallone, and Princess Maria-Olympia of Greece and Denmark. Table conversation ranged from Sean Penn's activism to charitable holiday toy drive to the threat posed by North Korea. "The Leftovers'" Margaret Qualley, Tonchi, and Constance Wu of "Fresh Off the Boat." Silverstone, Hirschberg, Kelly Rohrbach, and style influencer Erica Pelosini (from the pre-Instagram era usage of the word). On the right, Camila Mendes ("Riverdale") and Hong Chau ("Downsizing"). Everyone got a goodie bag of Dior perfume on the way out.